Milky white in daylight, their glow magically appears when the lights dim. 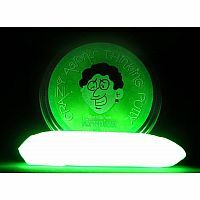 You can do cool tricks with Glow in the Dark Thinking Putty. After exposure to light (the brighter, the better), these colors will glow for hours. 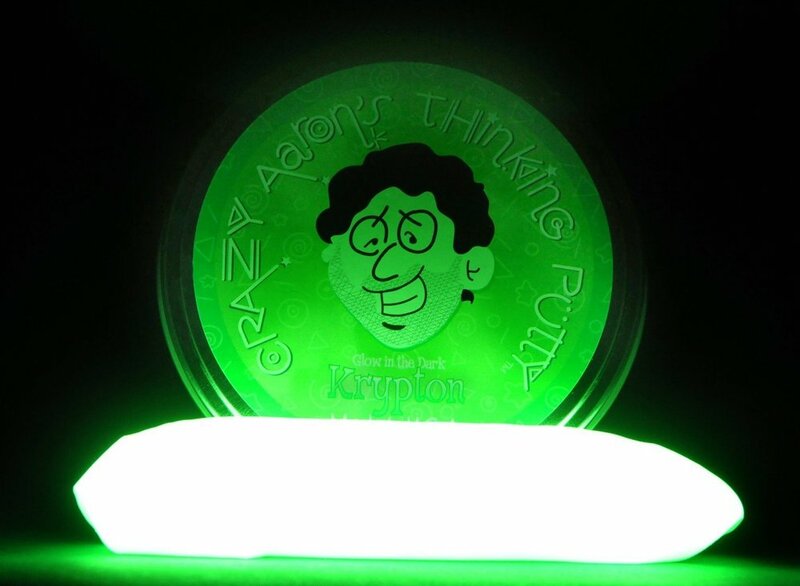 Krypton Thinking Putty DEFINES eerie, outer-space, alien, radioactive green! Charge with sunlight Keychain for fantastic brightness! 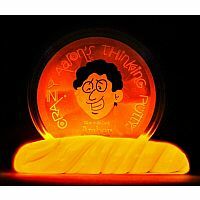 Wakeup before sunrise to see it glowing hours later! 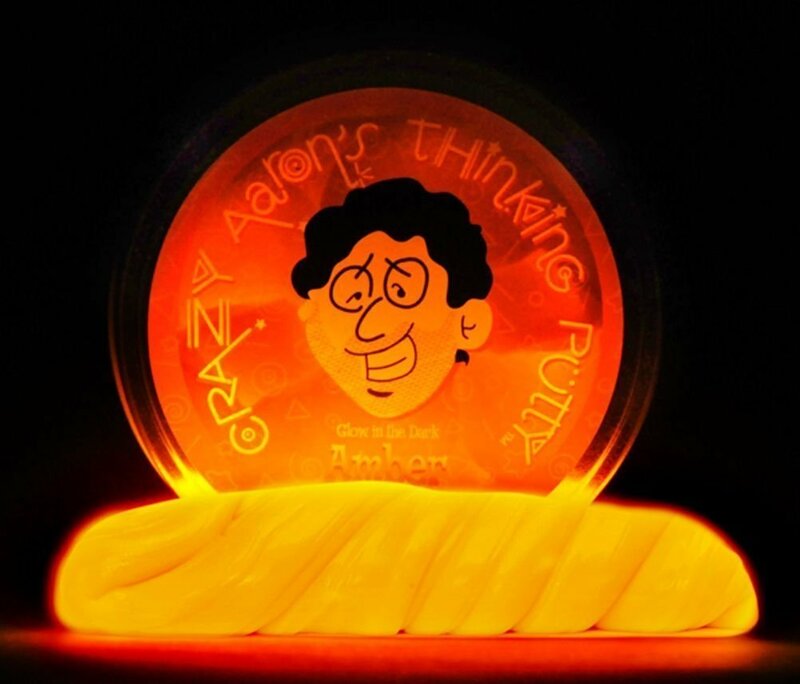 Amber Thinking Putty's exotic jack-o-lantern glow is simply awesome! After about an hour, the magic fades...until next time! 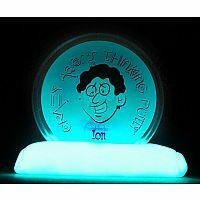 You'll swear you can see the electrons buzzing around -- generating Ion Thinking Putty's icy blue glow. An extraterrestial turquoise glows all night long. 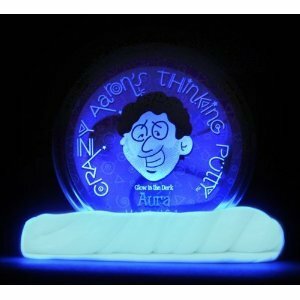 Glowing purple like the night sky before dawn, Aura Thinking Putty's unique color is sure to catch the eye. 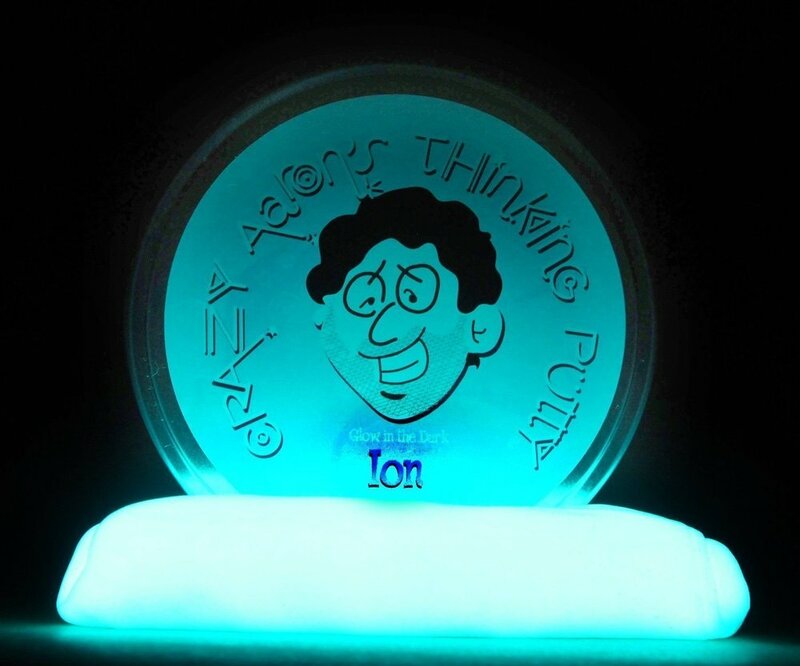 Shimmery white leads to rivers of iridescent purple, pink, and turquoise in Northern Lights Thinking Putty. 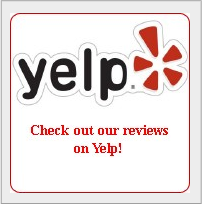 Originally only found in local specialty stores, it's now available to anyone who wants to experience this magical display of light for themselves.